She's a love; we hope she finds a human to adore her very soon. Ahhh, she sure does deserve a good home soon. Pawsome name sweetheart and we know you will be finding some big loving very soon. Have a tremendous Thursday. Awww sweetheart, we hope you do get that forever home real soon. You are so bootiful and sound like an ideal kitty. Rita we sure hope your forever family comes in very soon. 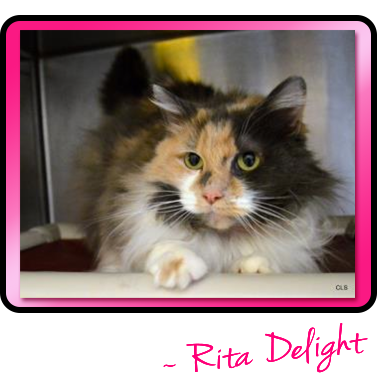 Rita, I am sure you will be a delight to someone new soon. Sure hope she will find a new home soon ! !